The seminar will be coordinated by the two conference organizers: Dr. Maartje van Gelder (University of Amsterdam) and Dr. Claire Judde de Larivière (University of Toulouse). This co-curricular activity is part of prof. Pes’ course History of Venice – Italy Core, the participation to the seminar is compulsory for its students. The aim of the seminar is to introduce you to the late medieval and early modern Venetian society, in order to present the questions and problems that will be discussed during the international conference, which will be held at VIU on Friday, 7 October. The first part will present how the Venetian society was organized, explaining the relationships between the three main groups which made up the society : the nobles (patricians), the citizens (cittadini i.e. bourgeois) and the ordinary people (popolani). We will consider how this social framework, created at the end of the Middle Ages, was related to the exclusion of the popolani from any political involvement, both in the city government and in the main institutions. We will relate these questions to the city scape and to the way Venetian spaces were and are organized. The second part will introduce the question of the so-called “myth” of Venice, i.e. the idea that Venice has been one of the rare regimes to know no revolt or popular political unrest during its millennial history. We will analyze the evolution of this idea, and how it influenced the way the history of Venice has been written ever since the 16th century. The third part will finally introduce the programme of the conference. 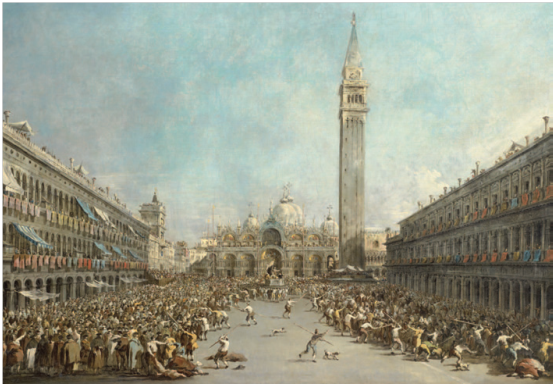 It is the first time that two eminent historians of Venice will focus together on the question of political unrest in Venice, tackling collectively its myth, trying to unveil events and forms of actions and proving that political tensions were taking place in Venice and that the popolo was involved in such events. 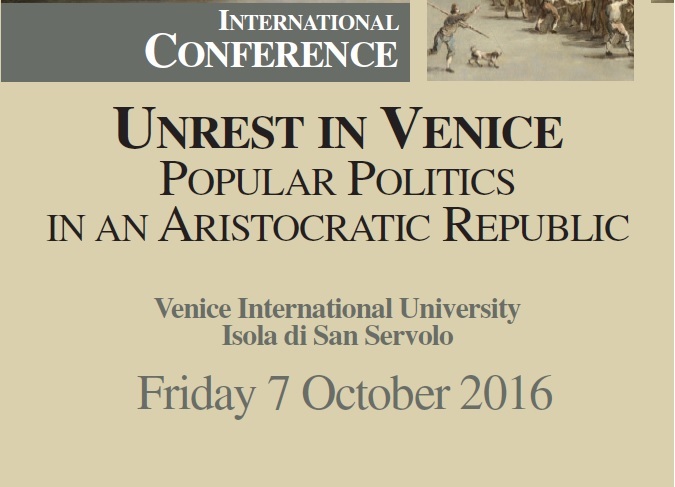 Read more about the conference on the VIU website “Unrest In Venice. Popular Politics in an Aristocratic Republic“.